A little while ago we launched our first ever scoring competition, where we asked everyone to have a go at composing original music for the short film, ‘AKI’. We couldn’t have imagined the huge response we received from everyone, with over 100 entries it took us quite some time to go through everyone’s submissions! After a many hours of watching, we can now proudly display our winner, Houssem Turki! Houssem is 22 years old and from Tunisia. He studied music in the Higher Institute of Music in Tunis, and he plays Violin, Piano, and Oud (oriental luth). Houssem got into composition in 2013 and has been completely self-taught (of course with a little help from twitch and youtube), and he’s always eager to continue his dream of becoming a film composer. We also want to mention our runner up, Michael Hienzsch, who submitted a very strong composition. You can view his submission by clicking HERE. 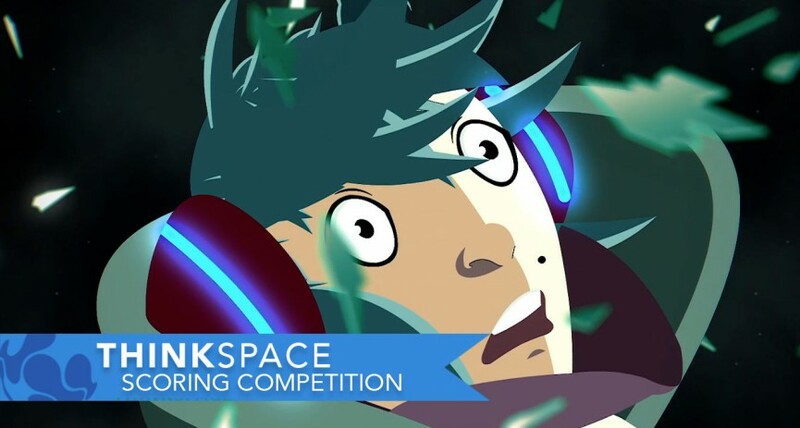 We’d like to say a final thank you to everyone who participated in this year’s ThinkSpace Scoring Competition, and we hope to see you, and even more people next time! If you enjoyed this, why not check out our Premium Courses? We hope you enjoyed this blog post. If you haven’t already, please like and share!